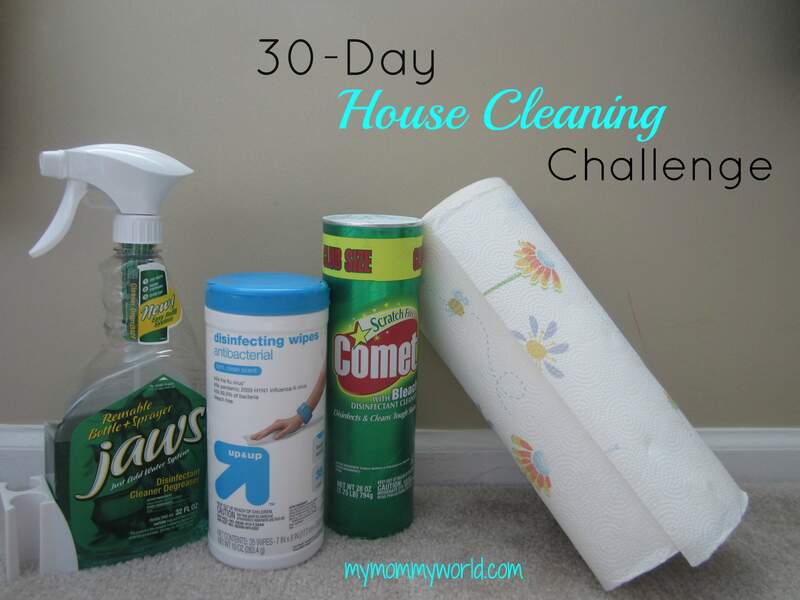 This had to be the easiest day for me yet in the 30-Day Cleaning challenge: the windows! Crystal said that we could choose from 3 tasks today: windows, surface cleaning the living room, or surface cleaning the bathroom. We could do one, two or all three. Since everything was still pretty clean from earlier in the week, I chose the windows and a quick vacuum of the living room. The reason why it was so easy today? Because my kids did most of the work! 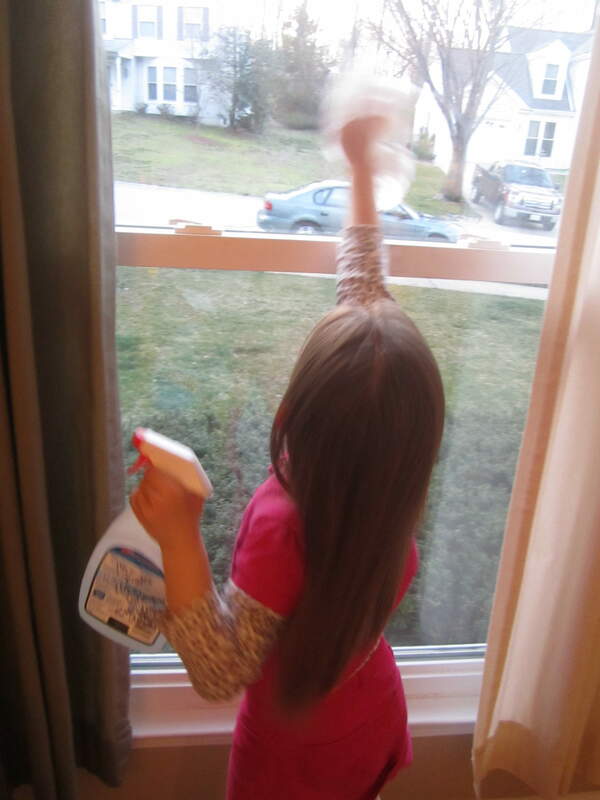 Cleaning the windows is one of my daughter’s weekly chores, so she got stuck wiping them down. Of course, little brother had to “help” out a bit. 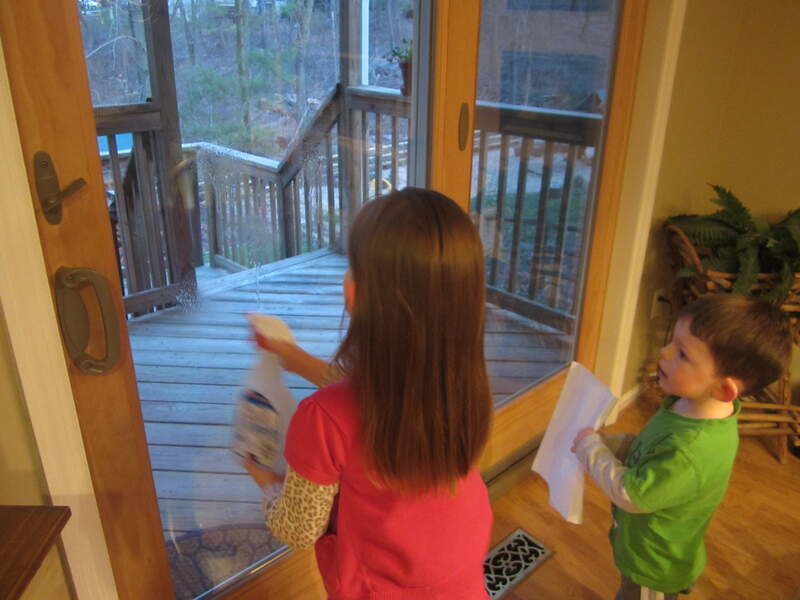 It took them only a couple minutes to wipe down the doors and two small windows in the living room. I did a quick vacuum and we were done! It will be nice to have the weekend off in a clean house! What are your plans for the weekend? Awe, so sweet! They are so adorable and helpful! Wow…17 meals? That’s amazing Shelly! You must have bought a ton of chicken!